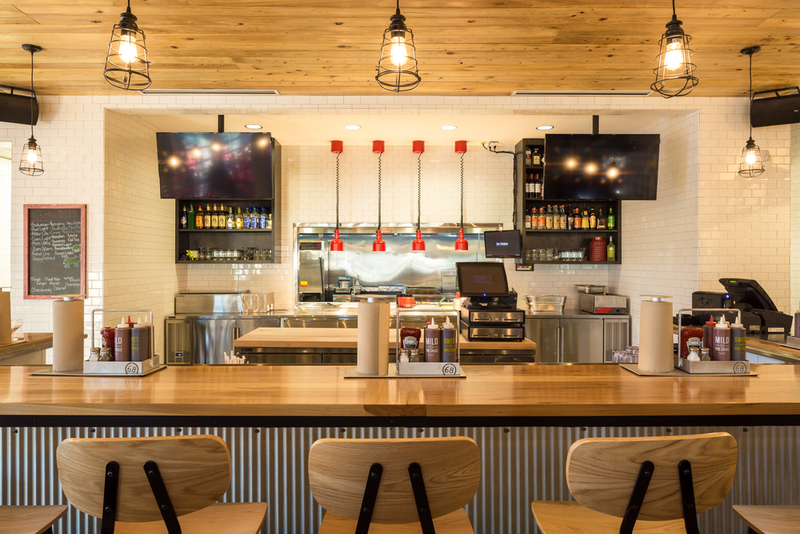 Modern redesign of Sonny's BBQ restaurants. 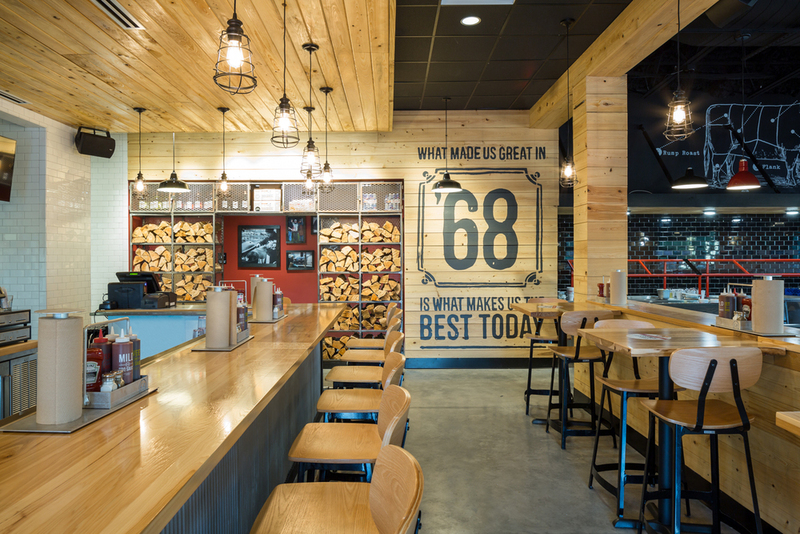 The flagship location in Gainesville, FL features an unmistakable wood wrapped volume and exposed BBQ smokers. 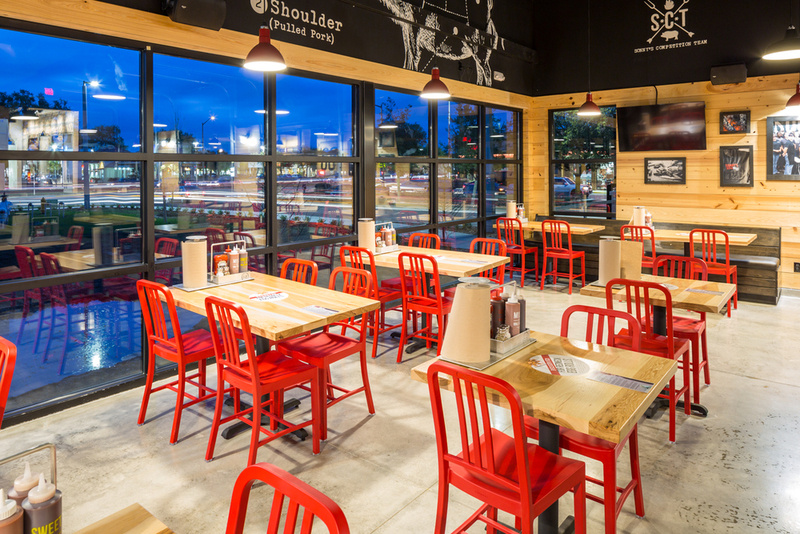 We worked directly with the branding agency to make Sonny's BBQ a complete, cohesive rebranding. Designed by Michael Wenrich Architects.